*As Seen in Walking Dead! Perfect survival tool for your Go Bag or Bug Out Bag. Great for cracking Zombie Skulls too. Good idea but it’s not made well at all the metal was uneven, the paint job looks like my kid did it, and the rubber handle comes off easy with rust under the rubber handle. 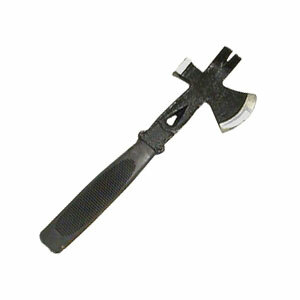 I love CSS but this hatchet is not a good look!